Hello everyone, today we are going to cover more of the basic factors that give sewing machines the ability to force a needle through the fabric. Motors play an active part in this accomplishment, but they cannot create the amount of torque (strength) needed by themselves. It takes a combination of motor size, speed and gear ratio determined by the sizes of the pulleys or gears to give the sewing machines the power to sew through heavy materials and multiple layers of fabric. Sounds simple doesn’t it? Well even in the vintage world the advancements in technology added one more variable to this balanced equation. 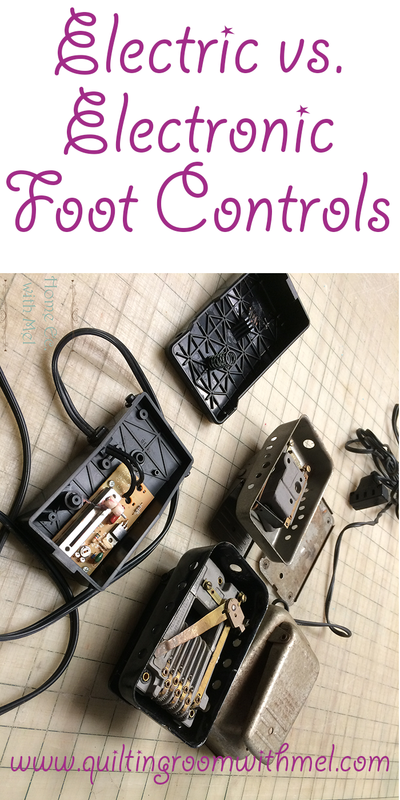 In my opinion the introduction of the electronic motor controller is the single most improvement that rewrote the sewing machine industry. 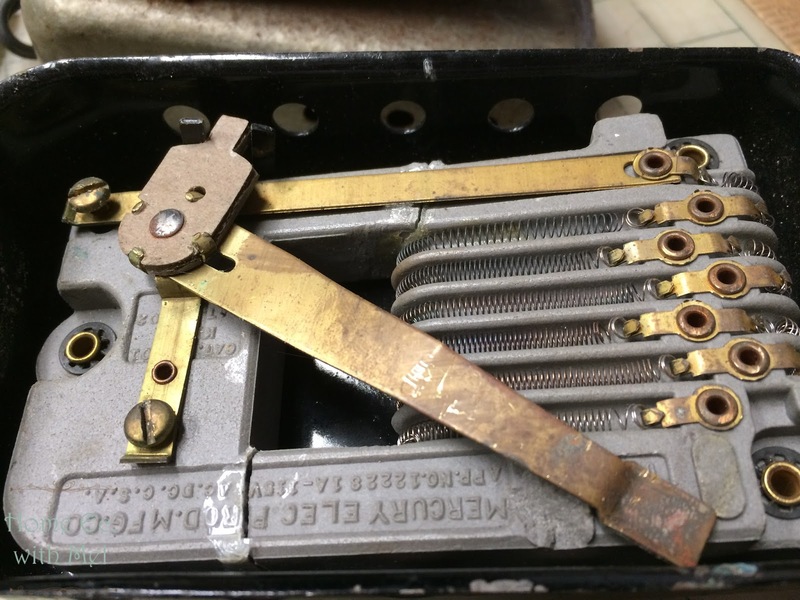 When domestic sewing machines first moved from the people powered era into the electrified workhorses we now recognize as vintage sewing machines, the means of controlling the motor was simple. 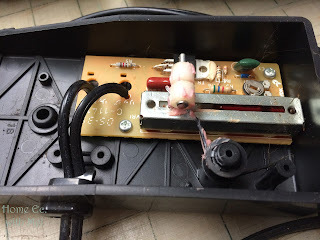 The controller regardless of being a foot pedal type or a knee bar used resistors to remove the amount of voltage transferred from the wall socket to the motor. 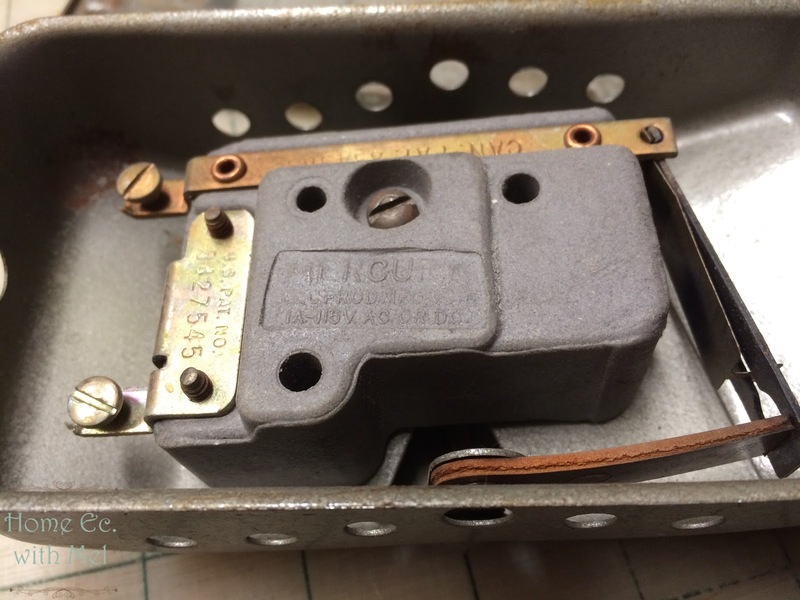 The more resistance the lower the voltage and the slower the motor would run. While this would sound like a perfect world for the sewing enthusiasts at the time it wasn’t as easy as that. 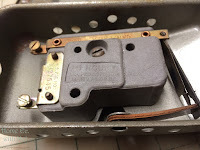 When resistors were used to cut the voltage they also reduced the current (amperage).This would not only slow the motor but it also reduced the motor torque. A sewing machine could only utilize the full strength of the motor was when the motor was at full speed. The second downfall to this type of speed control is HEAT, whenever resistance is added to a circuit the energy removed from the circuit to slow the voltage to the motor must be used up by the resistance, resistors do this by converting that electric energy to heat energy which is dissipated into the surrounding environment. Short note, if you sew slow for any length of time the controller would get too HOT to handle and in extremes could actually cause fires. I am not trying to say that the resistance type controllers are dangerous; with common sense they are perfectly safe. They are no more dangerous than a light bulb which also requires as little common sense to remain safe. Electronic motor speed controllers achieve the same end results, the motor can be operated at a slower pace. 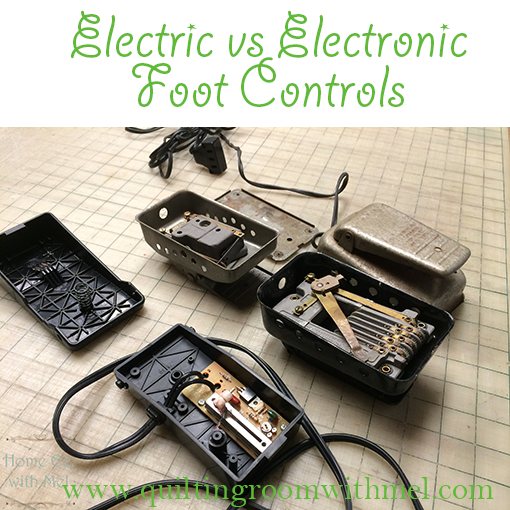 The difference is that electronic controllers do not use resistance to slow the voltage. The voltage remains a constant equal to the voltage delivered from the wall outlet. In the USA that voltage for domestic home use is 120 volts AC 60 hertz. The AC stands for alternating current, basically means it changes polarity, 60 is the number of times it changes or its frequency of cycles and hertz means it does that frequency per second of time(60 changes of polarity per second)or cycles per second. An electronic speed control uses these cycles or frequency of polarity change to regulate the speed of the motors revolutions per minute (rpm). When the cycles are slowed down the motor rpm is also slowed down but without the inherent loss of power. Since the voltage is kept the same the motor can put out the same amount of power at a drastically reduced rpm. This makes it much easier to sew slower and still have enough torque to push the needle through the material being sewn without the heat buildup associated with resistance style controllers. Here in the Quilting room with Mel, we use all types of different machines and motor controllers and we will always continue to use the resistance type with our vintage machines if it is functioning properly, but when they die or need to be replaced my first choice is the electronic style controls. The only thing to remember when changing over controllers is that it is utmost important that the new electronic control is rated for the same (or above) amps as the motor being controlled. Other than that it is an excellent replacement and easier on the motors. Until next time, enjoy your machines your way and may your rotary cutters always be sharp and your seam ripper unused. Don't forget to check out all of our sewing machine posts and sign up for our sewing machine newsletter to get great sewing machine care tips delivered directly to your inbox. Terry I believe that's the foot off of my White overlock machine in the photo.